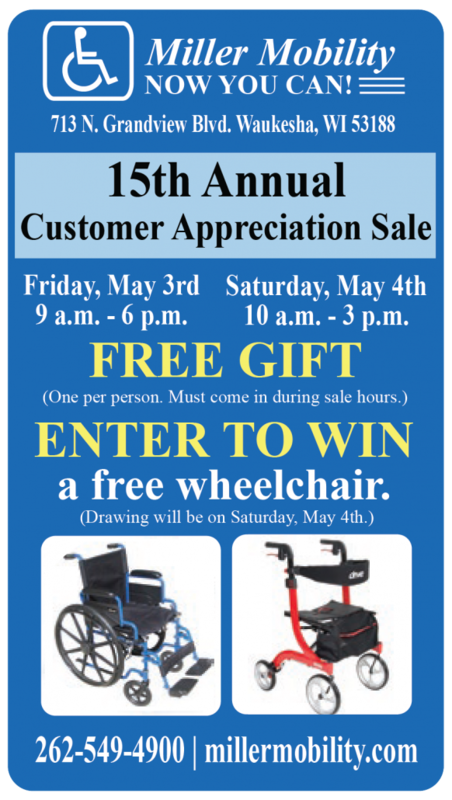 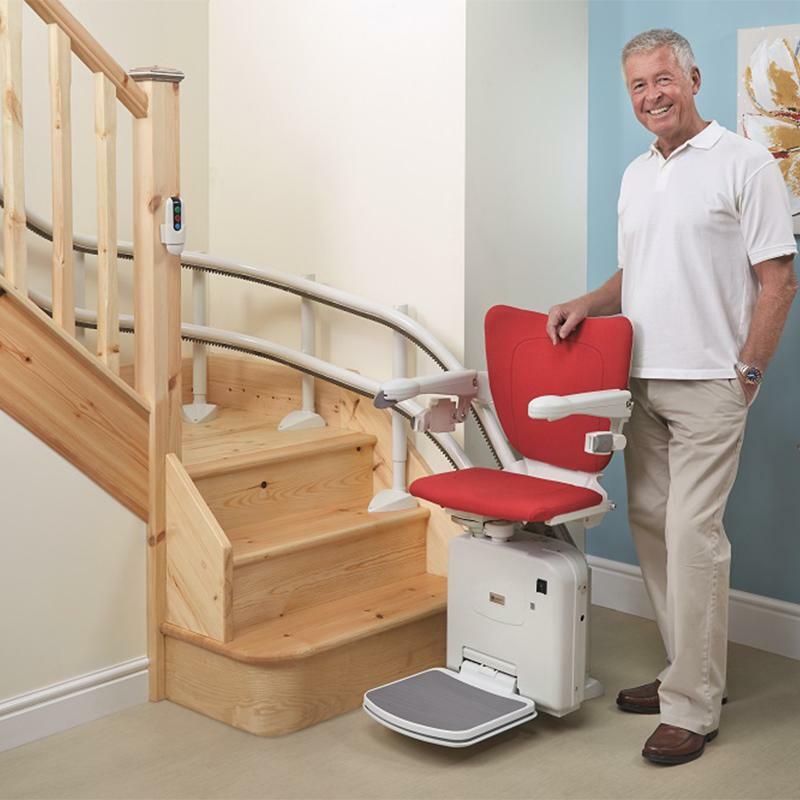 A curved stairlift is the optimal choice for spiral staircases or ones with a landing or bend. 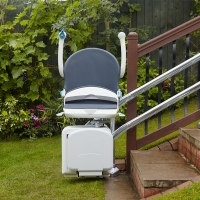 The 2000 features the tightest track bends in the industry today. 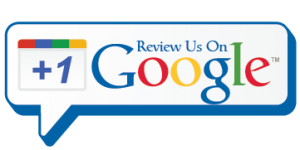 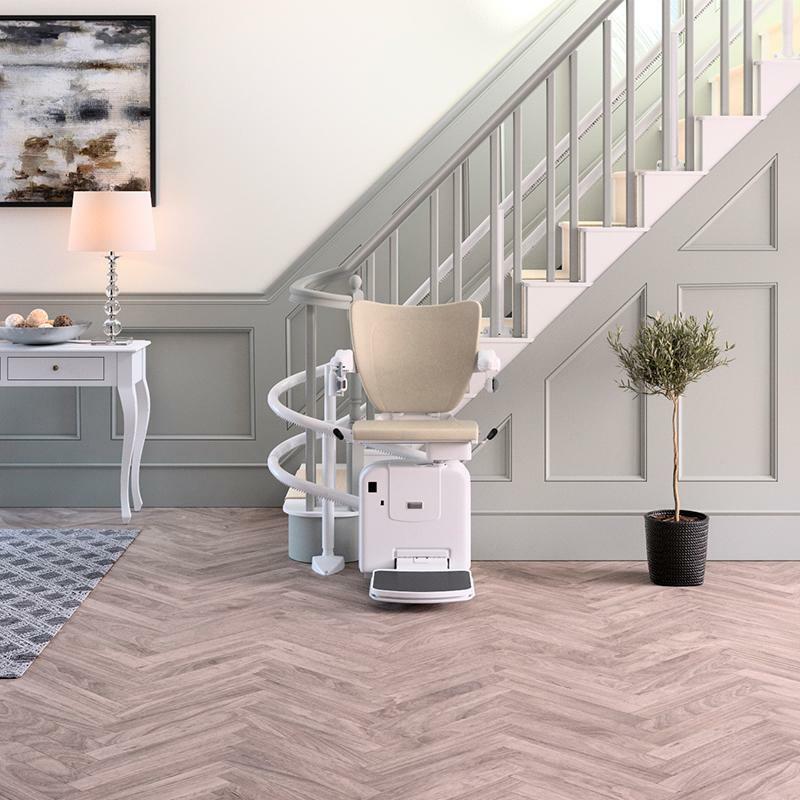 Each 2000 is custom built based on your home’s architecture to ensure it fits snugly against your wall and maximizing your staircase’s remaining capacity. 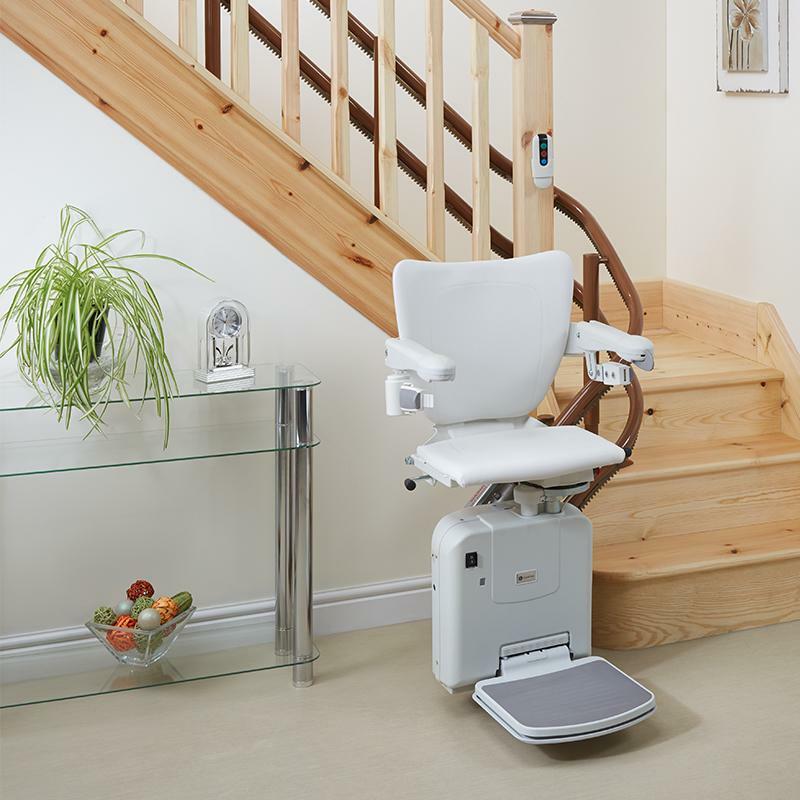 If space at the bottom of the staircase is a concern, the seat can be parked upstairs by adding a Powered Hinge Rail that lifts and folds the track away when not in use. 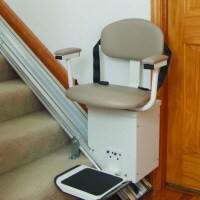 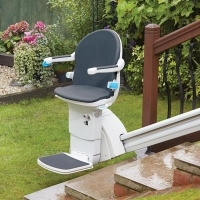 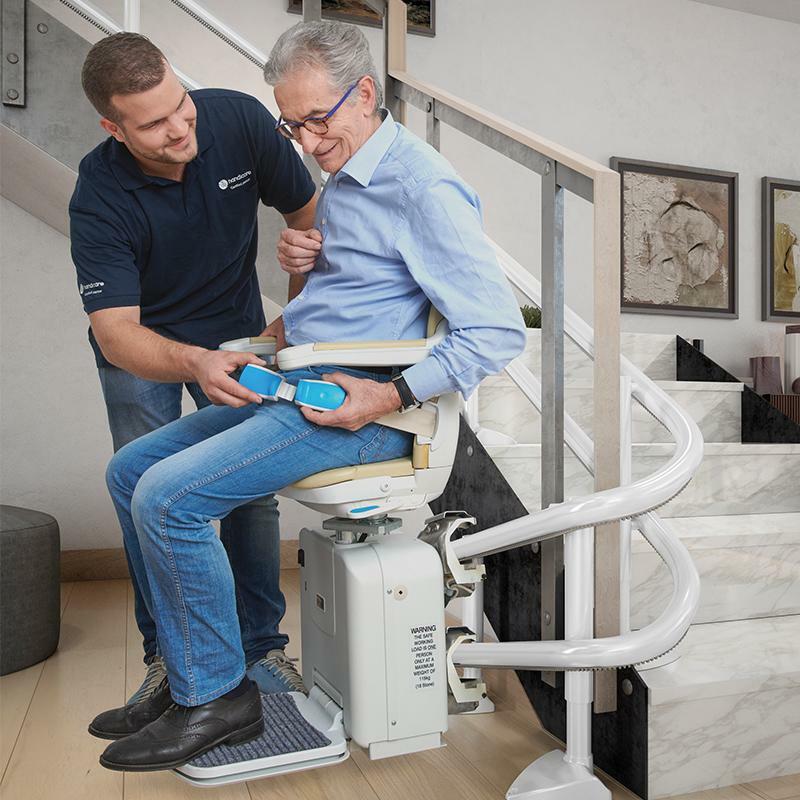 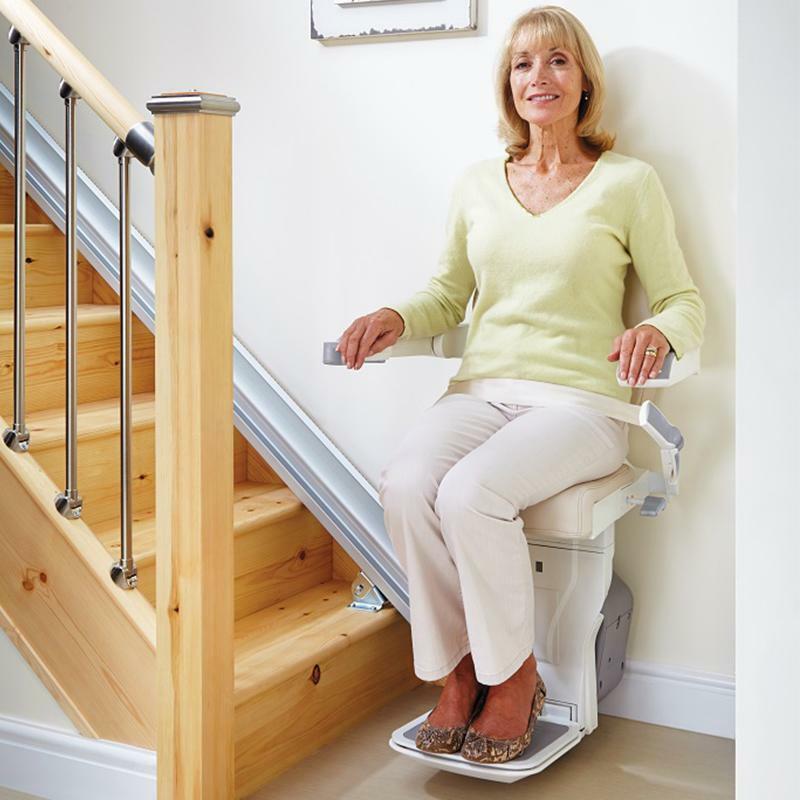 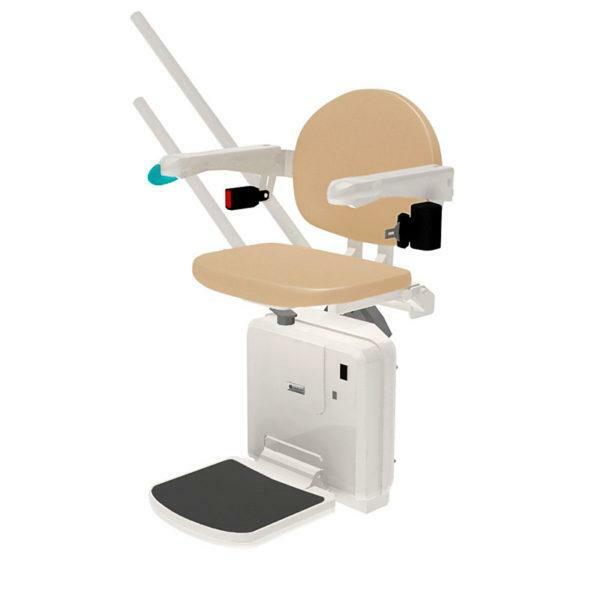 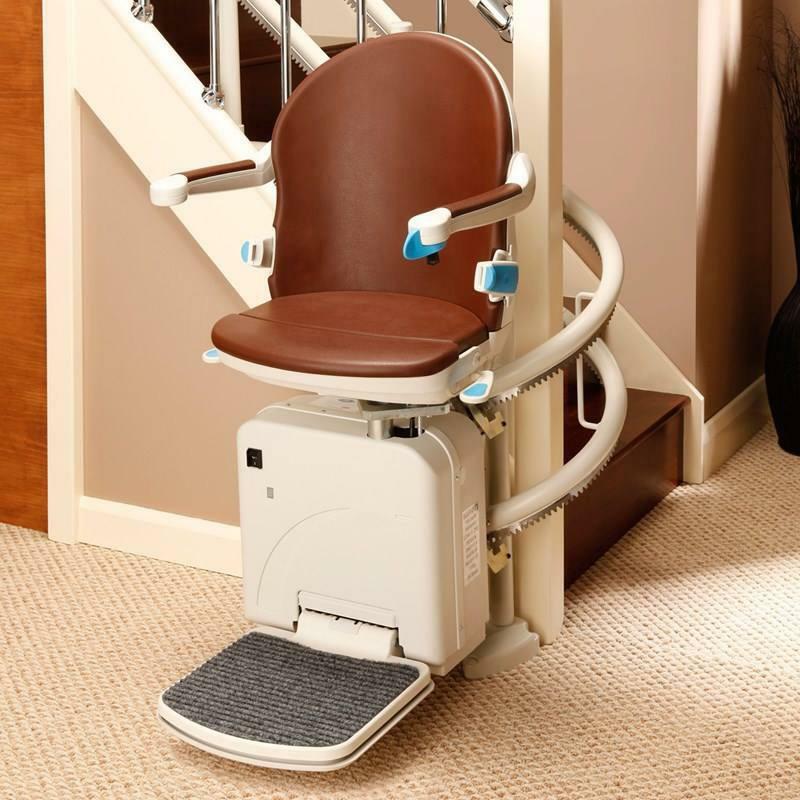 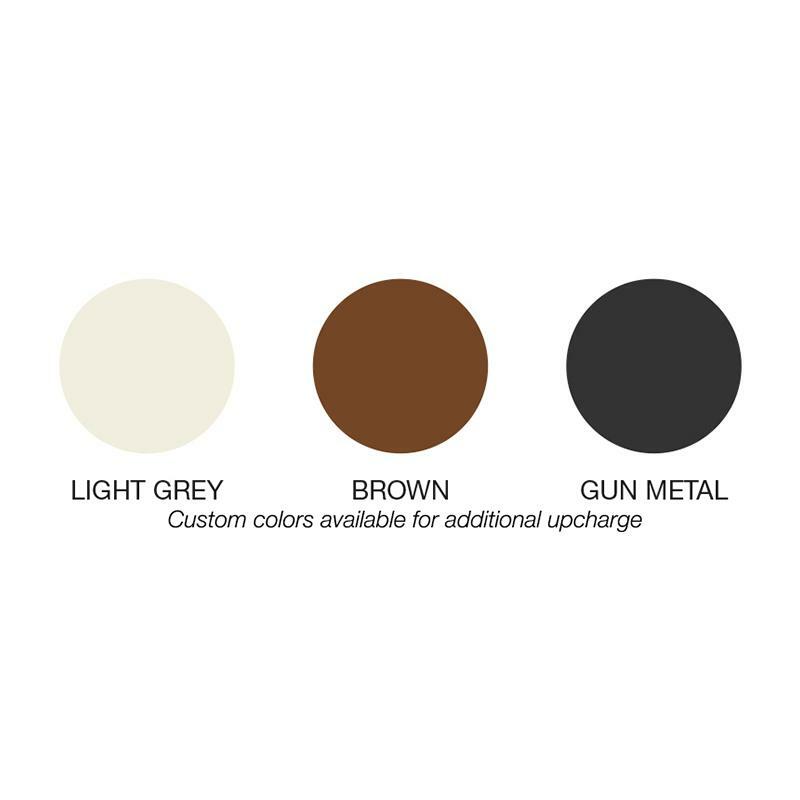 The 2000 stairlift is manufactured from durable, weather-resistant materials for installation indoors or out. 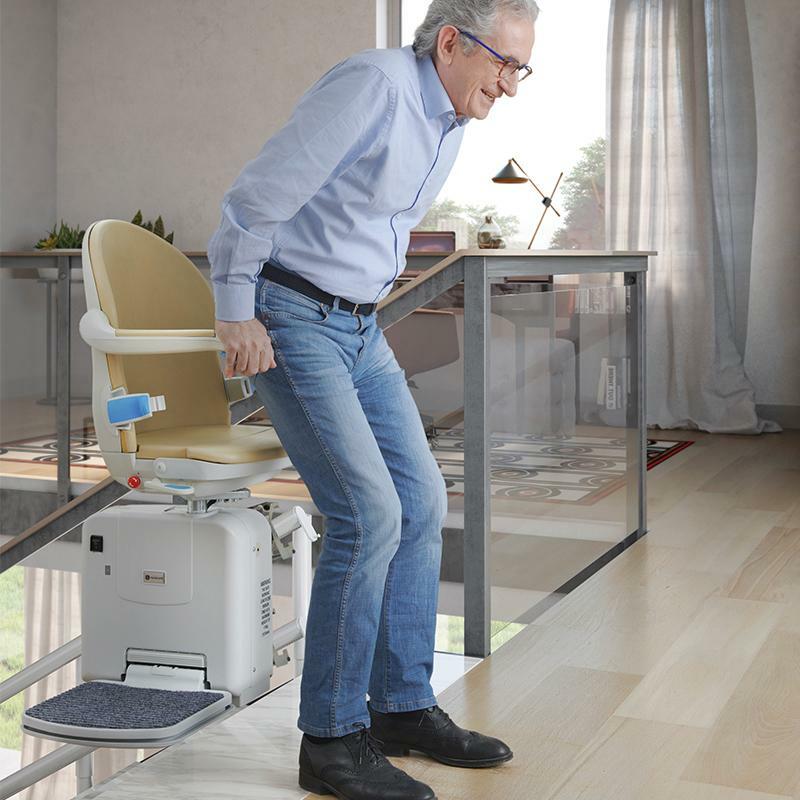 Perfect for front walkways, porches or decks, the 2000 outdoor unit helps you get back to enjoying Mother Nature. 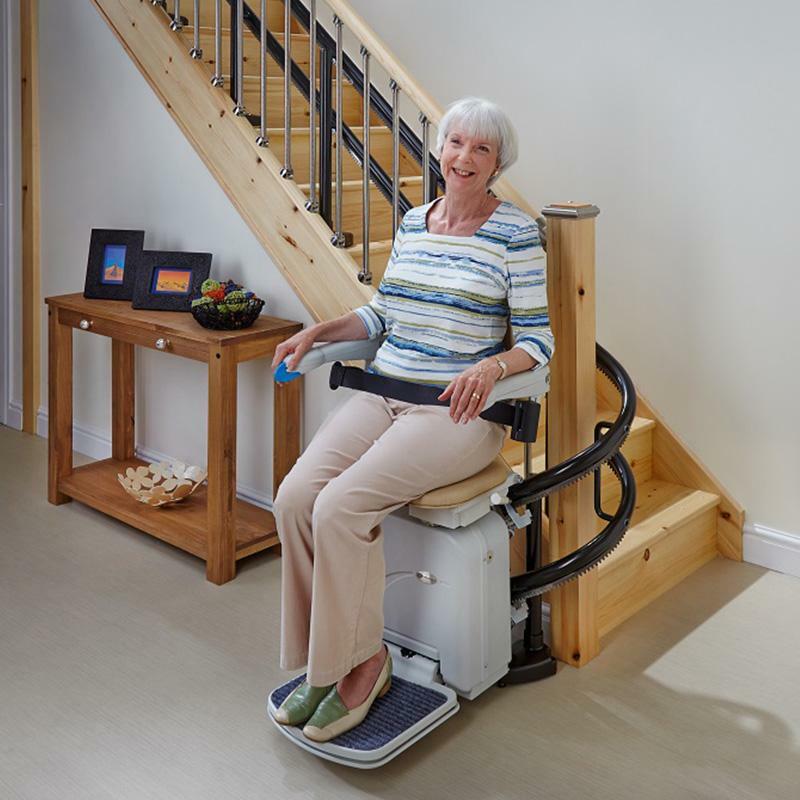 Powered Swivel Seat: by simply holding the toggle control toward the landing when you arrive, the seat swivels so you face the landing so you’re exiting toward it rather than getting off the lift sideways.